Prentice Hall Psychology is a learner centered approach that encourages dialogue and recognizes the importance of active engagement inside and outside the classroom. It uniquely integrates textbook and media program to awaken students’ curiosity and energizes their desire to learn and succeed. 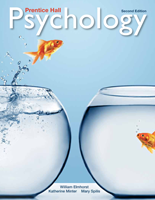 Organized to align with the latest version of the American Psychological Association’s National Standards for High School Psychology Curricula, each chapter of the book is divided into shorter modules for fl exibility in teaching and improved student learning. Each module is structured around learning objectives, which align with the detailed performance standards, found in the APA’s National Standards. 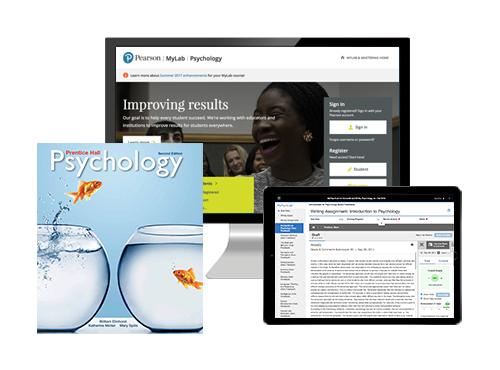 Prentice Hall Psychology has been fully updated and includes a deeper connection to Pearson’s online MyLabs. This edition recognizes the use of Diagnostic and Statistical Manual of Mental Disorders (DSM-5) published by the American Psychiatric Association as the Primary reference for making diagnostic judgments. Additional updates include revisions to historical references to reflect more contemporary examples and updated references to pop culture to increase appeal to today’s students.